The weather is getting colder, keeping us indoors and enjoy hot drinks. However, for those who love spending time outdoors on the balcony or the terrace, the chill in the weather might seem like a torture. Do you want to wait till the next summer when you can enjoy the freshness of natural light and air, or do you need some ideas that can enable you to enjoy right now? We have five ways in this ideabook to make your balcony and terrace warm during these cold winter months. Let us have a look! Balconies that are closed attract less dust as compared to the open ones, and tend to keep the temperatures relatively warm. A good idea to have it both ways is to install sliding glass doors/windows to have the option of opening or closing it depending on the weather. 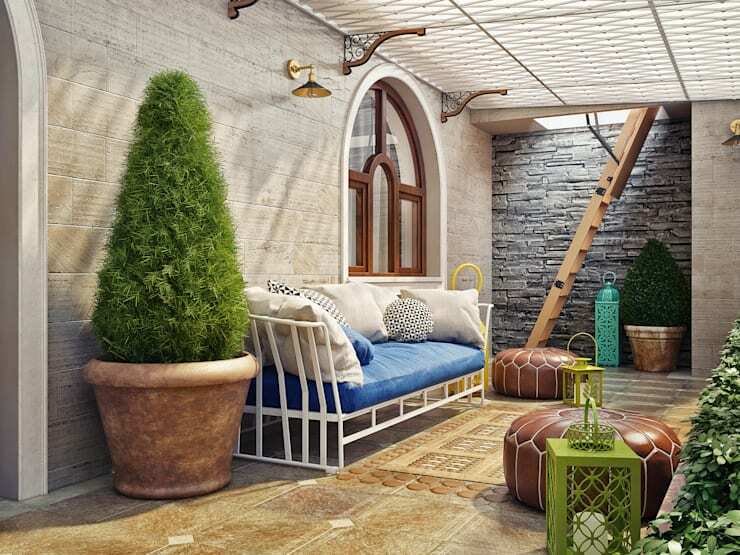 A closed balcony or terrace also gives you a lot more options to decorate it, owing to the weatherproofing! 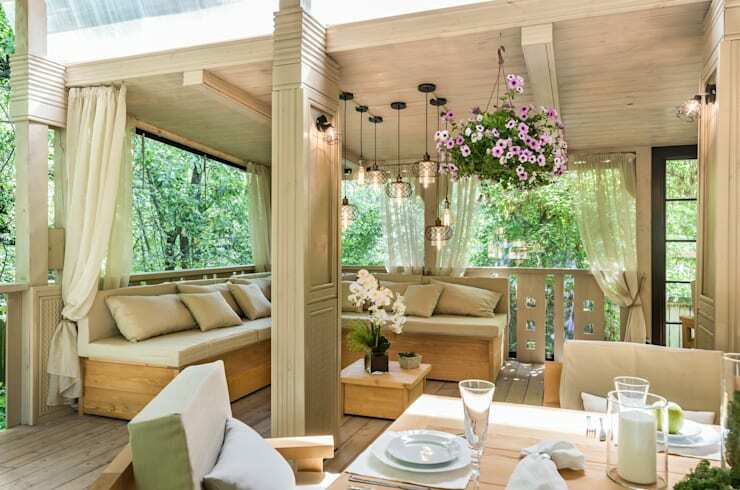 Here are 10 awnings and pergolas that will make your terrace look fantastic, while providing some relief from the biting cold. You can ask experts to install sliding doors or windows, so that the terrace can be open and independent. 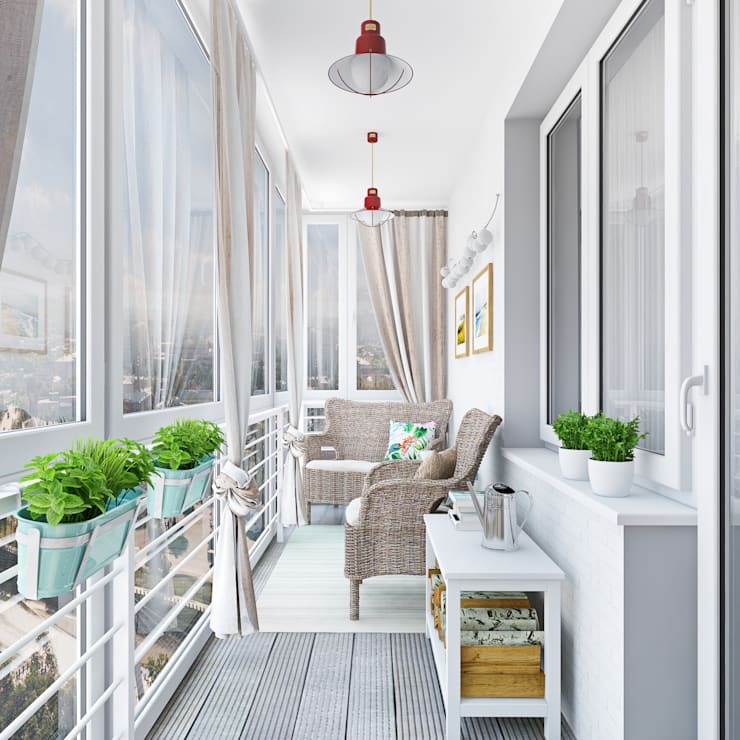 The most practical way to add warmth to the terrace is to place a fireplace or stove on the balcony or terrace. You can choose whether to switch on the the heating stove according to the weather, and sit right beside it with to get direct warmth and enjoy a cold evening, while being cozy. 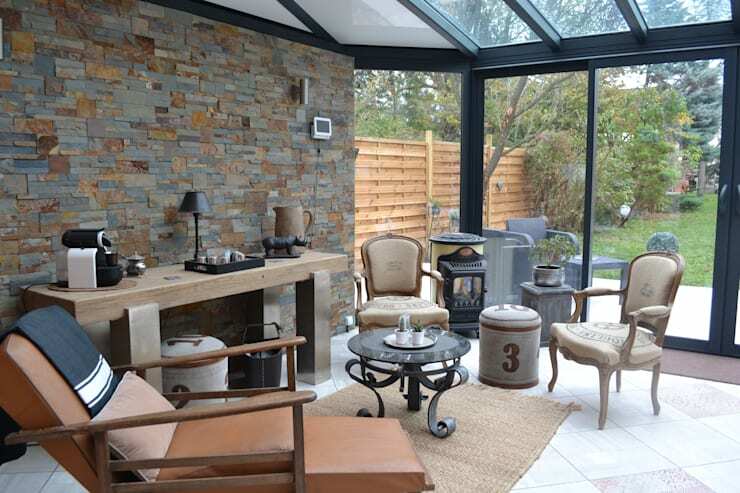 See a beautiful wood burning stove, to add glamour to your balcony or terrace. The radiant heaters have the advantage of uniform and fast heat dissipation, it needs to be structurally fixed and may may cause obstruction of space, but the advantage it offers outweighs all the little extra effort for the installation. Here is a simple guide to winterize the open spaces in your house. If it is a closed terrace , then you can also use floor heating, which works on a larger surface area, and the entire area in considerably warm. As much cozy floor heating makes the palace, with you being able to sit and lie on the floor too, the cost of floor heating (both installation and running) is a little high, so if you want to heat your balcony or terrace on a budget, then stove is the go for idea! See an example of a heat radiator in the balcony that covered with an oak finish cover. When you think from the environment point of view, the electronic fireplace is the best choice, its advantages are that it is affordable, there is low carbon di oxide production, and they look elegant are are available in many innovative designs. The electronic fireplaces do not need any air intake, so using them in a closed balcony will not make it suffocated. The electronic fireplaces are available in many shapes and sizes and you have a lot of options to choose from. See 10 fabulous fireplaces to warm up your home. Which way would you choose to enjoy winters out in the open? See 10 fabulous fireplaces to warm up your home.Which way would you choose to enjoy winters out in the open?